When I was born, Hitler was trying to kill me. Now my name is on Mars. Go figure. It is though. It really is. To be specific, it is on the Martian rover Curiosity, which has so far failed to kill Schrodinger’s Cat. I happened to visit JPL while they were building it and voila — two years later we watched in awe as our names landed on Mars. I’m hoping to be amongst the first comedians on the Elon Musk one-way trip. He is a "Python" fan so I have a chance. Plus it’ll get me out of the house. 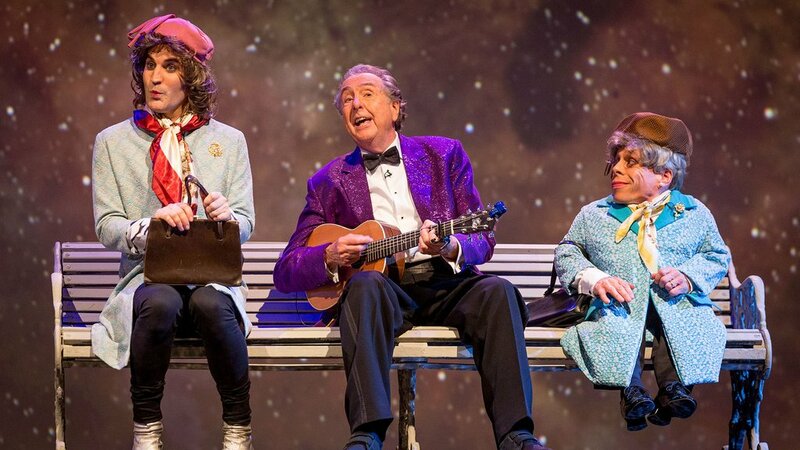 I’m a bit of a apace nut as you’ll see and it is a scientific fact that each of the members of "Monty Python" have asteroids named after them, which means that once a year Asteroid Eric Idle reaches its closest proximity to earth. Apogee? I think that’s right, not perigee. Or kedgeree. Which is the closest it gets to Scotland. Noel Fielding: Like you, I’d like to have a hemorrhoid named after me. Noel Fielding: You have what you want named after you and I’ll have what I want named after me... "The Entire Universe." The cast stars Warwick Davis (Professor Flitwick from "Harry Potter," and an Ewok, I think, in "Star Wars") who plays a Bee Gee, the ubiquitous Schrödinger’s Cat, Pluto that is not a planet anymore, and The Big Bang. Warwick: I’m playing the Big Bang. Yes, I know. Irony. Ron didn’t. He loved it. He watched all of the episodes one weekend and immediately put it on the air. He also persuaded New York, Chicago, Pittsburgh, Miami and Washington D.C. to take the show on a trial basis. It proved to be a huge ratings success. By the summer of 1975 it was airing on 113 PBS stations. It would remain only on PBS for more than twenty years, so millions of young Americans discovered the shows, broadcast as we intended, without commercial breaks. The laugh was on us. We were convinced it wouldn’t work in America. So thank you PBS. Without you we wouldn’t be where we are today. Wherever we are. How will the Universe end? With a bang? With a whimper? With a nice cup of tea? Or will it be the Big Rip, where all matter is torn apart because thanks to Dark Matter the Universe is expanding too fast for Gravity to hold it together? The answer is it ends with The Galaxy Song, sung by Stephen Hawking. Look on the Bright Side. One day the sun will die. One day the Galaxy will die. One day the entire Universe will die. I’m not feeling too good myself. 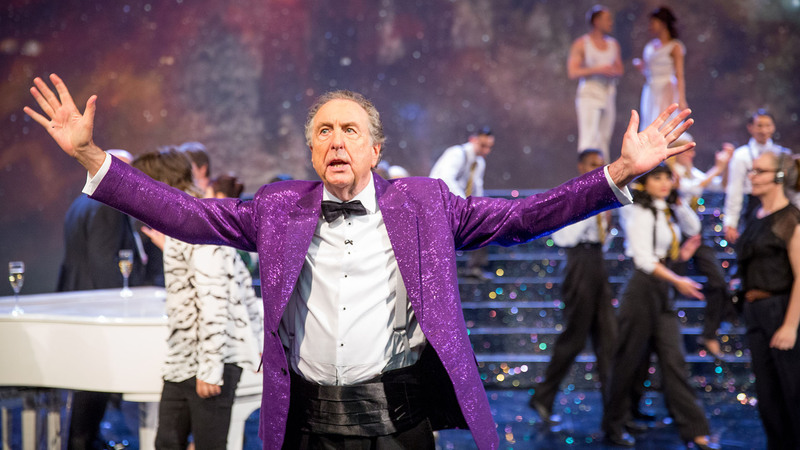 Eric Idle is a former legend in his own lunchtime. His "Entire Universe" will air, as he is never tired of pointing out, on PBS on Dec. 22 (check local listings).